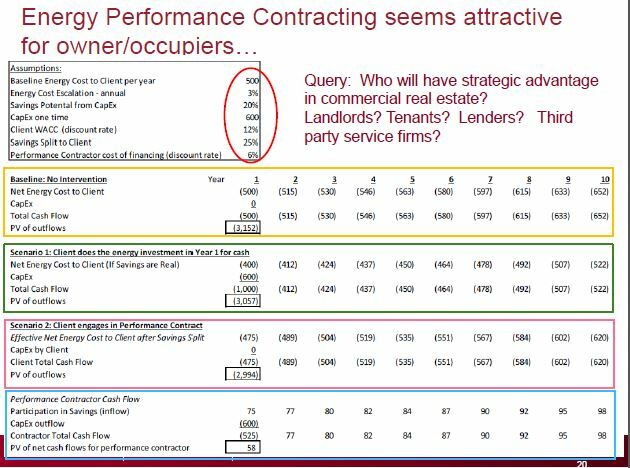 Consider the simple numbers for how energy performance contracting money flows (see the sample spreadsheet in the Groom Energy case in the PDF here). What aspects of the energy savings and finances look like they might lead to strategic advantages for Groom? 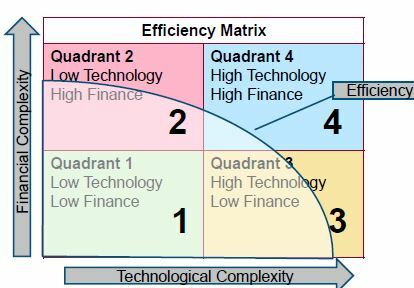 Consider the Efficiency Matrix from the same PDF here and from Building Sustainable Cities here. Is Groom over the “efficiency frontier?” How can they cross it? Can they defend and grow that position? Why landlords and tenants will lead energy efficiency in commercial real estate, not service companies. Why psychology is important in the climate change discussion and what to do about it.